How To Pray For Healing And Get Results - Rubens Cunha has been praying for healing for over 20 years all over the world with outstanding results. This devotional will teach you Biblical principles that will help you pray for the sick and receive healing miracles. Jesus Christ is the same everywhere, every day and for everyone. He has not changed and therefore his miracles are still for today. Better yet: His miracles are for you now! All through the Bible, we read about wonderful healing miracles performed by God. These miracles are demonstrations of His love in action to help and bless people just like yourself. In our generation, I had the privilege of witnessing countless healing miracles in our evangelistic campaigns around the world. Starting tomorrow, I will show you different videos with real healing testimonies from our campaigns. These testimonies will help your faith. After all, if God did it for them He will do it for you too! Based on the Scriptures and more than twenty years witnessing God's great miracles, I will share with you some principles to help you pray for divine healing. These simple principles have helped me to see my prayers answered and I am sure they will help you too. It is very important not to use these principles as if they were some sort of superstitious ritual. We must always understand that we are not the healers. It is neither your prayer, nor your faith, but God that heals people. 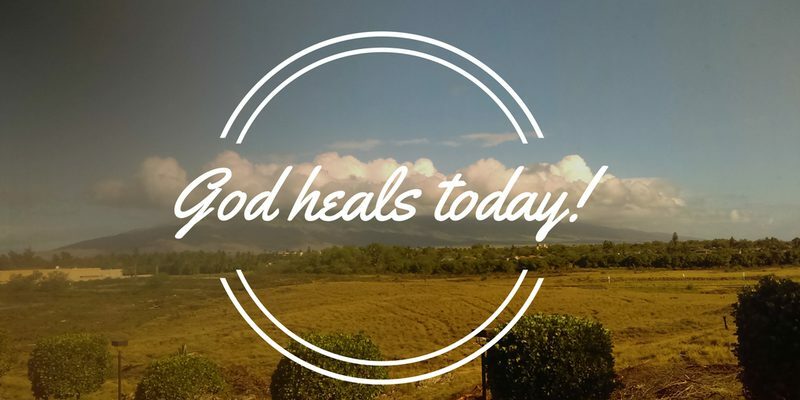 It does not matter if the person in need of healing is you, a loved one or a complete stranger: the ministry of divine healing is simple: Jesus is the one who heals because of His love, mercy and compassion for us. However, when we pray with faith we became conduits of His grace: He wants to use your life to heal the sick and set the captives free. Each day in our devotional, you will see a video of a real miracle from one of our evangelistic campaigns and learn a biblical principle to pray for divine healing. My invitation is for you to read the forthcoming devotionals with an open heart and mind to understand and believe how God can use your life to be a channel for His extraordinary miracles and bring relief to those who suffer. Putting it into practice: Pray that God will open your heart and mind to understand the Biblical truths about divine healing. Pray for love and compassion towards the sick and above all: expect a miracle! Tomorrow we will start learning seven Biblical principles to pray for healing and get results.